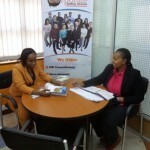 What Are The Top Soft Skills That Kenyan Employers Seek? Soft skills is a synonym for “people skills.” The term describes those personal attributes that indicate a high level of emotional intelligence. Unlike hard skills, which describe a person’s technical skill set and ability to perform specific tasks, soft skills are broadly applicable across job titles and industries. Traditionally the Kenyan job market focused on hard skills but things have taken a turn in recent years with employers having a keen interest on soft skills, this is evident with the rise of young CEO’s in top companies. It is believed that hard skills get you the job but soft skills keep you on the job. 5 soft skills that will put a you ahead of fellow candidates in a job hunt. This tops the list. Almost every job advertisement you will come across puts communication skills as a desired attribute. In any work place communication is essential either between colleagues or even for dissemination of communication across the job hierarchies and even between employees and clients. See Also >>> What’s More Beneficial In Job Search? Skills Or Connections? Being a good listener is one of the best ways to be a good communicator. No one likes communicating with someone who only cares about his opinion, and does not take the time to listen to the other person. If you’re not a good listener, it’s going to be hard to comprehend what you’re being asked to do. This is equivalent to combined skills, in every organization there are various tasks that require group work for the best results to be achieved, team work skills ensure that you can easily accommodate other people when you are handling a given task at hand. Teamwork is when a task at a workplace requires combined effort from people with different skills; a task would require IT and sales department to work together in creating a presentation for potential clients, bringing together different skills to achieve a common goal. These kind of skills are related to mental, analytical and creative skills. Using these three properties then one can easily able to work through a problem and figure a solution. Problem solving skills are everyday skills that sometimes we use passively even without knowing ,however In any given organization an ideal employee is one who is able to see through a problem and solve it without involving their immediate senior or supervisor. Time management may sound so cliché but it’s surprising how a lot of people fail at this. Time management is basically the process of planning and exercising conscious control over the amount of time spent on specific activities, especially to increase effectiveness, efficiency or productivity. Most workplaces are sometimes faced with swift deadlines and therefore time management skills save the day because some tasks are time bound and therefore any employer is looking up to the employer who will who will be efficient enough to deliver results within a short notice. When you learn and maintain good time management skills, you’ll find freedom from deadline pressure and from stress in general. This is the ability to do what needs to be done, without influence from other people or situations. People with self-motivation can find a reason and strength to complete a task, even when challenging, without giving up or needing anyone to encourage them. It goes without saying that motivated employees do not need to be driven by their bosses because they already have an inner drive. They have already figured out their purpose and their importance roles that are of benefit to the organization. Employers seek candidates who are full aware of what is required of them. These skills can be acquired through defining clear goals, breaking the goals in a realistic and systematic way and finally creating an action plan. Soft skills makes you a marketable candidate whenever potential employers come across your application ,therefore it is advisable to have an expert review your CV and blend soft skills with your work experience in a professional way that will put you in the front-line in an event where you are seeking a job. It is important to note that the above soft skills are highly demanded by employers simply because they constitute to the best traits that a productive employee should have in an organization. There is no single employer wants to spend extra resources training an employer on how to be productive, therefore an individual must make a personal effort of acquiring soft skills so that you can be both productive and suitable for employment and for personal career growth. Perminus Wainaina is a Certified HR Consultant, Career Coach and Managing Partner of Corporate Staffing Services, a leading recruitment firm in Kenya. As a career coach, Perminus works with experienced professionals in helping them determine and achieve what they want in their career. Click here for more on career coaching.